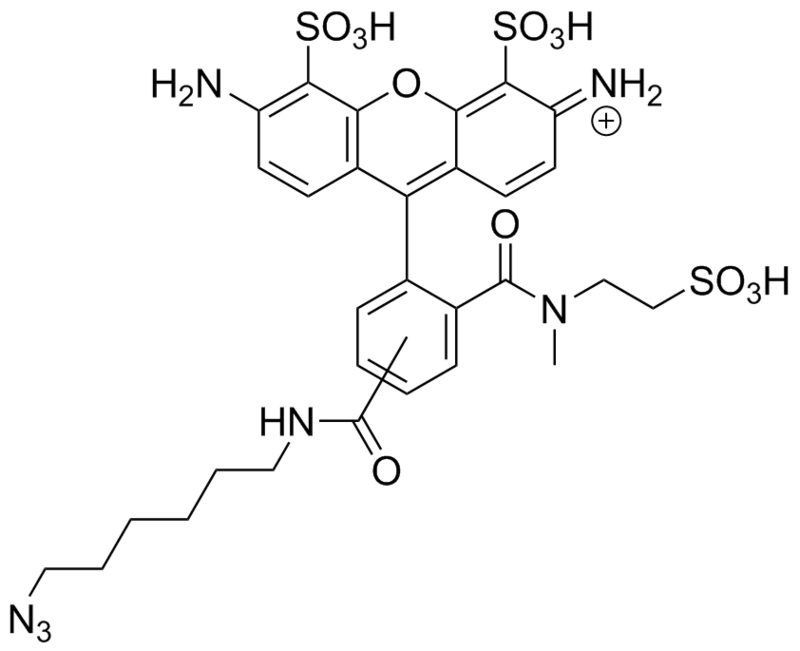 MB™ 488 is a very hydrophilic, water-soluble green emitting dye. 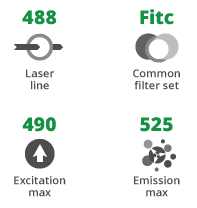 Structurally related to Alexa Fluor® 488 dye, MB™ 488 dye contains an additional, negatively charged sulfo group (SO3H) to improve water solubility and minimize self-quenching. Characteristic features of the label are strong absorption, high fluorescence quantum yield, and very high photostability. 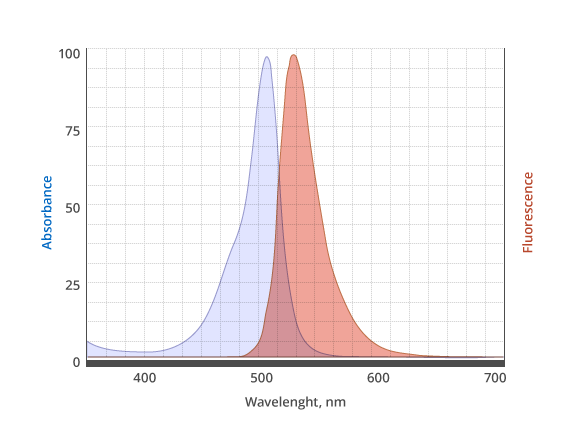 MB™ 488 is a highly suitable dye for single-molecule detection applications and high-resolution microscopy such as PALM, dSTORM, STED etc. Additionally MB™ 488 is an excellent dye for flow cytometry (FACS), fluorescence in-situ hybridization (FISH) and many other applications. MB 488 Azide reacts with terminal alkynes via a copper-catalyzed click reaction (CuAAC). It also reacts with strained cyclooctyne via a copper-free click chemistry reaction to form a stable triazole and does not require Cu-catalyst or elevated temperatures.